We were like them before we were older, just as they'll grow to be as we are, and still only speak with wording of caution, sow and we reap what we're putting forward. Moody melodies and harmony-drenched dreams: States is the evocative debut album from Melbourne five-piece The Paper Kites. Following on from the band’s Woodland and Young North EPs, across 13 tracks Sam Bentley (lead vox, guitar, harmonica), Christina Lacy (lead vox, guitar, keys, mandolin), David Powys (vox, guitar, banjo, lap steel), Josh Bentley (drums, percussion) and Sam Rasmussen (bass, synths) go on a journey of delicate, folk-inspired landscapes, worlds rich with lyrics and a raw sonic beauty. Throughout States there’s nods to Simon & Garfunkel and Dylan (stripped down duet “Never Heard A Sound”); energetic pop odes to angry individualists (“Young”); hazy, psychedelic Korgs and chords (“Living Colour”). There’s vocal layers and musings on mortality (“Gates”); cinematic tales of twisted and tragic romance (the delicate “Tennenbaum”); rough and messy rock (“A Lesson From Mr Gray”). Seven minute closer “I Done You So Wrong” finishes the record off, an album as unique as it is captivating. The Paper Kites wanted to take their time in making their move. In January 2013 Bentley packed up his car with every instrument and recording device he owned – “two or three keyboards, my desk, my computer, all my guitar, amps and drum kits” – and headed east of Melbourne. Holing up on a friend’s property, he began to write. 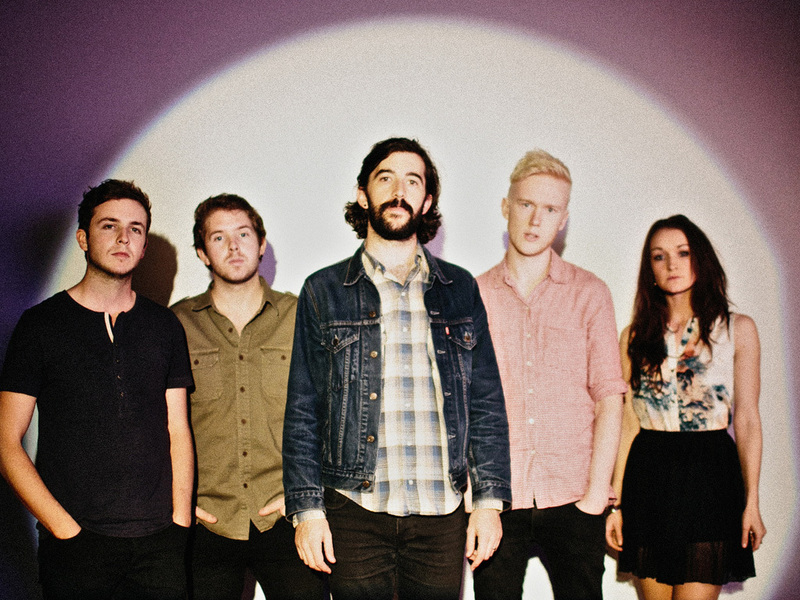 Once reunited, The Paper Kites sifted through the best material and got to work. They enlisted the help of friend and collaborator Tim Coghill, a composer (and former drummer with Matt Corby), who appears on six tracks. It was Coghill’s touch in the studio, which saw further additions of colour, including musical boxes and bowing cymbals (on first single “St Clarity”), clarinets and brass sections (“Portrait 19”), violin, cello and violas (closer “I Done You So Wrong”) and other soundscape additions. States was released on October 1 via Nettwerk Records.